On Friday at UN Headquarters, November 22, The Food and Agricultural Organization (FAO) launched the 2014 International Year of the Family Farm. The discussions were chaired by Amb. McLay of New Zealand and featured supporting statements from the offices of the Secretary General and President of the General Assembly, as well a statement by FAO Director-General José Graziano da Silva and participation by several representatives of the globally diverse, family farming community. In an agricultural sector currently dominated by corporate monopolies, biological monocultures, genetically modified seeds and the like, it was indeed refreshing to have a reminder of how important family farming can be to maintaining nutritional balance, sustainable farming techniques and healthier local economies. No doubt the minds of many in the room, myself included, wandered back to their own rural experiences where life was difficult and perhaps a bit romantic, a time when fending for yourself and sharing with your community were complementary and essential activities. Places where, to paraphrase the social philosopher, Wendell Berry, people still preferred to have a neighbor than to own a neighbor’s farm. The issue for policymakers now is partially about honoring family farmers and partially about how to ensure that farming options that have so much to do with the well-being of communities, especially in the developing world, are maintained. This is not a sentimental longing but an indispensable option. It is sheer foolishness for policy elites in large urban environments to remain inattentive to those who seek control over farmlands and their yields, mines and their extractions, watersheds and their life giving liquid. If there are to be wars and armed internal conflicts in this next phase of our collective history, they will surely be fought over minerals and water more than over borders and the pride of national leadership. One issue to which we must pay more attention, which came up during the launch and also in a publication distributed at the launch event, “Feeding the World, Caring for the Earth,” has to do with access to markets. Rural family farmers are often in danger of being bought out or ‘priced out’ by large corporations or investors with more knowledge of and better access to agricultural markets, not to mention to the government officials who preside over such markets. In an age of capital expanding its influence faster than governments can (or wish to) regulate, family farms are vulnerable to a host of pressures, including having their markets undercut by farmers in other rural regions. But another and perhaps more important factor has to do with the security of agricultural workers themselves, mostly rural, often women, and in many societies beyond the reach of whatever state security apparatus exists. The vulnerabilities of rural farmers, especially female farmers, need much more attention from the international community, especially in this International Year. In Cameroon, our partners at the Martin Luther King Jr. Memorial Foundation (LUKMEF) are organizing an event, Women Conference on Peace and Leadership in Sustainable Agribusiness, which will bring women farmers from throughout the Central African region with government officials to explore these two critical matters – markets and security. The policy paper produced by LUKMEF for this event stresses the need to address violence against women, promote their access to justice, include training in peace building and conflict prevention along with agriculture-focused workshops, and work with governments to ensure more attention to the security needs of the rural communities that literally provide our daily bread. We think that LUKMEF has this right. It might seem an odd linkage for an organization like GAPW otherwise committed to peace and security issues at UN Headquarters. But there is no denying the peace and security implications of vulnerable rural communities and of the women and men who strive to keep those communities viable. We have little hope of achieving food security for developing societies unless we are able to more effectively guarantee the security of agricultural workers. Sadly, our habits of consumption and our rapacious appetite for control of commodities and resources are creating societies that are more and more disconnected from – and disinterested in – rural issues and processes. If there is to be maximum value to this International Year, and we must all hope and work for the best in this regard, it would manifest itself in a comprehensive reinvestment in rural agriculture production from all security and development sectors. Our farms are facing times of crisis. Our farm families must be secure enough to help direct locally-based responses to these grave challenges. Editor’s Note: The following was presented on a panel organized by the Friedrich Ebert Stiftung as part of their excellent, annual Fall Academy. I have been asked this year by Volker Lehman of FES to do something different than in years past, not to speak so much about the NGO community at the UN — about which I am not always a huge fan – but to provide a critical perspective on the work of disarmament led by folks such as Fikry Cassidy of Indonesia and Thomas Markram, of UN Disarmament Affairs , two people I have known for some time and respect greatly. Being critical, of course, does not mean being negative. We’ve certainly butted heads in the past with a number of delegations and with disarmament affairs, and that isn’t likely to change. We take peace and security challenges seriously; we know many people worldwide who have suffered devastating consequences when those challenges are not taken seriously enough. We make no apologies for insisting – including insisting of ourselves – that these challenges are taken up with as much serious and wise purpose as possible. That said, most of our relationships with governments here in New York and with Secretariat officials, are quite positive. We deeply value what they do. Most diplomats work very hard, harder on average than many of the NGOs trying to sell them on one policy or another. We respect and honor their commitment, even when we differ on the paths chosen or on the assessment of our results. We (GAPW) are an office completely independent of government and UN money. We give the best advice we can give, we do it privately whenever possible, and we blend advice with concern about the lives people here are living, the personal sacrifices they often make to be here. Sometimes our ideas are good; sometimes they are just plain nonsense. But they are as clear, thoughtful and attentive as we can make them. We know that lives are at stake in the decisions made at headquarters. We also recognize that we don’t get a vote. We can help make better decisions, but we don’t make decisions ourselves. There are three core values that govern our security-related work. First is the recognition that, as UN-based NGOs, we represent a mere sliver of the global ideas and perspectives that need to find a place at the policy table. Despite the inferences of too many of my NGO colleagues, this is not about us. We are not gatekeepers. As a group of largely white, English speaking offices which are often much too cozy with our government benefactors, we are surely the least diverse pillar of the UN system. There are many governments that rarely if ever see familiar national or ethnic faces at the back of conference rooms. We can talk more collectively about why that is so. But believe me, diplomats notice. And issues like disarmament are impacted by a lack of diverse policy perspectives. Second, we must recognize that the UN system is fundamentally imbalanced, that the playing field is heavily tilted –even in the Security Council — and that states in control of the game have largely mastered the skill of coercive management out of the spotlight. Why we value the Non-Aligned Movement (NAM) so much, even when we are occasionally at cross purposes on policy, is that the NAM represents a key, core challenge to the policy inequalities of this system, the degree to which all states at headquarters really don’t play by the same rules. The implications of this disparity come up in disarmament discussions all the time, as states plead for consistency in application, transparency in motivation, and an even-handed assessment of the implications and power imbalances that will very possibly accrue from our implementation of negotiated agreements. Third, we recognize the degree to which none of the key weapons-related issues impacting the UN system is likely to be solved until and unless all of the relevant stakeholders are engaged. For us, that means looking to the many complementary issues and offices that help to define our security commitments. For instance, Illicit small arms fuel violence against women, impede development, keep children at home instead of at school, dampen prospects for the prevention of mass atrocity violence, negatively impact the health of state security sectors, and create cultures of suspicion that ultimately impact other negotiations, such as efforts to eliminate nuclear weapons, efforts which we all agree must remain at the top of the UNs agenda. A word on the Arms Trade Treaty, which was never conceived as a disarmament treaty per se and on which we worked very hard alongside many diplomats and a couple of the NGOs that considered thoughtfulness a more helpful contribution to Treaty negotiations than cheerleading There is, all the hype notwithstanding, little reason to believe that this Treaty will result in any significant diminution of arms manufacturing or trade. The gushing references to the ATT by so many First Committee diplomats is understandable given the success of these negotiations amidst UN disarmament mechanisms that continue to be frozen or rendered virtually irrelevant. But as with the rest of life, this is a ‘be careful what you wish for’ moment for the UN. We have a positive outcome over which we all lost lots of sleep. But it is not a great treaty by UN standards, it does not effectively balance rights and obligations of manufacturers and recipients, it will be challenging to change provisions that turn out to be ineffective once the treaty comes into force, its implications for disarmament are unclear at best, and the opportunity costs of this treaty have been high in terms of energy expended and trust invested. There is much heavy lifting still to do which will require much sober resolve. Cheerleading just won’t cut it. To conclude, we fully acknowledge the right of sovereign states to pursue their own security needs, but our goal is directly tied to the Charter idea of security at the least possible levels of armament. To achieve this goal, disarmament itself must remain at the forefront of our common policy agenda. The UN has many gaps in effectiveness to be addressed, and weapons have for too long been the vehicles through which states have pursued both domestic and cross-border interests. We are convinced that these gaps can be filled, the playing field can be leveled, and thus states will find more and more reasons to embrace collective security with the same fervor that they now embrace its national equivalents. For as long as our office exists, these are the goals and the hopes that will guide our activities and recommendations. After a month of meetings, side-events, resolutions, discussions and arguments, by state delegations and NGO representatives, it seems like peace and quiet has returned to the United Nations (UN). The General Assembly (GA) First Committee on Disarmament and International Security has ended. Looking back on the past month, I must say that I have mixed feelings. During First Committee, countries had time to share their concerns and standpoints on different disarmament issues. In my belief it is a good thing to discuss disarmament and security on a broad scale: every country can elaborate on their views and needs during the general and the thematic debates. I also believe that it is a good thing to have these meetings on a regular basis: decisions can be made, resolutions can be adopted and actions can be followed up on. These are the reasons why I think First Committee debates are needed and important but they are also the reasons I believe, that the way we organize these discussions limits the potential benefit of the work of First Committee. Due to the fact that the meetings are organized on a wide scale and for only a few days a year, country delegations try to squeeze in all of their concerns into a general and a few thematic statements, all of which are supposed to last no longer than 5 to 10 minutes (though this time limit was rarely honored). This results in countries being forced to choose to focus on a few subjects to address in First Committee and thus other security-related subjects may be pushed to the background with less than the attention they deserve. This year, as part of my responsibilities for the First Committee Monitor organized by Reaching Critical Will, I focused my attention on Small Arms and Light Weapons (SALW), a subject that is, in my view, very important to address. Everyone knows what SALW are and what they can do. It is the kind of weapon children learn to ‘use’ while playing with toy guns and later while playing videogames, laser games or paintball. People use SALW to protect themselves, to commit petty crimes but also to commit murders. SALW are easy to get your hands on and easy to use and are, therefore, the most functionally dangerous weapons in the world. In the United States more than 30 people are shot and killed every day. In South Africa the number is as high as 40 casualties a day. During First Committee several delegations mentioned the specific problem with the use of SALW. They called SALW ‘the real weapons of mass destruction (WMD) of our time’ and stressed the need to work together to stop the illicit trafficking of SALW. The representative of Croatia emphasized that ‘small arms and light weapons are neither small nor light in their impact’ and called for a strong and united response to this challenge. Even though most delegations addressed SALW in some fashion, and even at times mentioned the UN’s Programme of Action on Small Arms and Light Weapons (PoA), the topic was generally mentioned briefly and was overshadowed by several other disarmament issues, such as continued possession of nuclear weapons. On the one hand this makes sense given that these weapons, if ever used, would have an immense impact on the world’s population. Entire cities and populations can be wiped out by the use of one single nuclear weapon. So it is important to make sure that these weapons will not be further developed, tested and used. But, as I pointed out earlier, I also believe that SALW problems are important to address. I understand that it is much harder to attain the political will needed to control the trafficking and use of SALW than is the case with nuclear weapons, since the impact from the use of SALW is not immediately experienced by the entire world community. Nevertheless, even though entire cities or populations cannot be destroyed by a single use of SALW, such weapons are already used to wipe out segments of populations all over the world. Looking at actions on draft resolutions, it was interesting to see that the first-ever Security Council (SC) resolution (2117) exclusively dedicated to the issue of SALW, which was hailed as a success by several delegations, got deleted from the GA resolution entitled, Assistance to States for curbing the illicit traffic in small arms and light weapons and collecting them, before this resolution was adopted without a vote. The reason for this can be found in the fact that resolution 2117 was adopted by a vote of 14 in favor to none against, but with one important abstention of the Russian Federation. During First Committee it was decided that SALW resolutions should be decided by consensus; thus the progress made in the SC on the issue of SALW was not officially acknowledged by the GA resolution. Contemplating the future, much needs to be done to tackle the problem of the illicit use and trafficking of SALW. 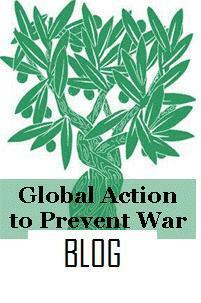 Countries need not only talk about the dangers and effects of SALW but actually see them as another form of WMD. Only when the international community sees its real dangers and SALW are no longer seen as weapons with ‘minor’ effects, can the use of SALW be halted. SALW deserves, in my opinion, the same amount of attention as other WMD and more in-depth talks on efforts to curb illicit SALW are needed. In addition to this, countries such as the United States where everyone has the ‘right’ to own a gun, need to consider strong control legislation. The issue of SALW needs to be addressed internationally and then the same laws and obligations need to be applied in every country if real progress is to be made in the process to stop the illicit use and trafficking of SALW. At no given time would the malfunctioning of the UN’s ‘Special Committee on Peacekeeping Operations’ (or its shortened name – the C34) be a welcome development for the world of international peacekeeping. However the signs from this year’s Fourth Committee’s discussion on the substantive question of peacekeeping operations indicate that it couldn’t have happened at a more inopportune time. In the interests of providing some ‘geography’ to this post, the ‘Fourth Committee’ is one of six committees that work under the umbrella of the General Assembly of the United Nations. Peacekeeping, however, is one of many subjects the Committee discusses (its full name is the ‘Special Political and Decolonization Committee’). The ‘C34’ works under the Fourth Committee, and is the UN’s intergovernmental body mandated specifically to discuss areas of peacekeeping practice, and make policy recommendations to the UN secretariat. Created in 1965 (under General Assembly Resolution 2006) the committee works to produce a report which aims to distil the various views of the 147 member states involved in one way or another in Peacekeeping operations (Troop and Police Contributing Countries (TCCs/PCCs), funders, equipment providers, policymakers) into recommendations which are then taken to the UN’s General Assembly. Trouble has been brewing in the C34. In the 2012 session, the report was subject to a prolonged six-month negotiation process before publication. In 2013 things got worse, and negotiations broke down, resulting in no agreement on what should be included in the substantive report. Therefore, no 2013 report went to the General Assembly, and the 2012 report was merely reissued. Therefore, there has for the past year been no formal reflection on peacekeeping policy and practice from the C34. This failure has been reflected in member states’ statements to the Fourth Committee. The failure to produce anything was met with ‘regret’, ‘profound regret’, and ‘profound disappointment’, as well as hope that the committee could work better in the forthcoming year. There are, however, very important and interlinked reasons why this committee is fundamental at the present time. These thematic areas have been picked up through member states’ statements. Firstly, Peacekeeping operations are working in complex operating environments. Existing operations have seen an unlikely resurgence in conflict in their areas of deployment. For example, peacekeepers from the UN Disengagement Force (UNDOF) (set up in 1974 to manage interstate conflict between Israel and Syria in the Golan Heights) have had to deal with a significant deterioration in safety due to the conflict in Syria, including the kidnapping of Filipino peacekeepers earlier this year. Recent deployments are entering environments with more diverse threats to security. The operation in Mali, MINUSMA, was recently attacked by a suicide bomber, resulting in the death of two Chadian Peacekeepers and a number of civilians. The dangerous operating environment in Mali was outlined by Under Secretary-General Herve Lasdous’ speech to the 4th Committee, where he noted that ‘careful reflection’ was needed on how peacekeeping can ‘adapt to effectively fulfill its multidimensional mandates’. The examples used by the USG to underline this point – in Afghanistan, Iraq, Somalia and elsewhere – were notable not so much for their peacekeeping presence (Somalia being one possible exception), but for their counter-insurgency focus. Such challenges to peacekeeping, and the implication on mandates provide the first reason why oversight, reflection and policy recommendation is critical at present. Moreover, it should be borne in mind that although such challenges are very much due the ‘changing nature of conflict’, they could in part be attributed to the UN Security Council’s willingness to mandate operations to deploy into environments where there is little peace to keep. This brings up the second challenge – that of the relationship between the Security Council and peacekeeping practice. The Security Council, as the body charged with maintaining international peace and security, mandates peacekeeping operations as a response to crises. The Council is guided by principles in setting up operations, but arguably there exists room to manoeuvre within them. Moreover, there are only 15 member states on the Security Council, and the extent to which these states are involved in peacekeeping varies. This leads to the issue of the processes involved mandating and deploying peacekeeping operations, and the extent to which 15 member states can effectively make decisions on behalf of a much broader peacekeeping constituency. A number of statements in the 4th Committee questioned the extent to which such decisions are made with the full participation of the TCCs and PCCs, and advocated more consultation in this area. Moreover, the recent deployment of the ‘Force intervention Brigade’ (a force designed for ‘neutralize and disarm’ armed rebel elements in the East of the Democratic Republic of the Congo) was referred to by diplomats as it ‘blurred the lines’ between Peacekeeping and Peace Enforcement. For instance, the Argentina delegation noted that discussion on the brigade by the broadest range of actors was a necessity. The Security Council has recently produced guidelines on consultation with TCCs and PCCs, and mechanisms are sought to increase effectiveness in the build up to mandate formulation for new missions. However, the lack of a functioning body (such as the C34) to track these efforts, and make systematic policy recommendations may mean that these efforts will be ad hoc. [T]he Council’s expanded consultation procedures since the end of the cold war reflect the extension of Council authority, which now draws on a broad variety of ‘constituents’… In other words, this signals not the uplifting of poor contributing states as much as their being locked into a new means by which the Council has consolidated its control over UN procedure and institutional politics. This links to the third and final reason why a functioning of the C34 is critical: it provides an important valve in the relationship between the Security Council and the TCCs and PCCs. Peacekeeping relationships are not only driven by doctrinal and mandate functions, but also by the ‘nuts and bolts’ of the process of deploying and undertaking peacekeeping operations. Member states raised strong concerns with issues of troop reimbursement, issues of contingent-owned equipment, safety and security of peacekeepers in the field, and the extent to which expectations are placed on TCCs/PCCs without appropriate consultation. The UN Secretariat is formulating working groups on both issues, but again, a lack of a fully functioning formal body to constructively debate and distill these issues, and move towards a consensus-based approach may mean that the anxiety expressed in statements may not go anywhere positive within the UN system. On the bright side(!) it does appear from member states that there will be renewed efforts to kick-start the C34, including agreement on the working methods of the ‘Group of Friends of the Chair (Ambassador Joy Ugwu of Nigeria). The C34 may not be perfect, but its function is important. It provides a space where member states with stakes in the peacekeeping enterprise can formulate policy, thus ensuring a broad constituency has effective buy-in to policy-making procedures. Critically, this mitigates against an unhealthy balance towards the Security Council. The International Law Commission (ILC) briefed the Sixth Committee at its 68th session about the ILC’s work over the course of the past year. Among the advancements made, the ILC presented its work on crimes against humanity (“CAH”) which it has added to its long-term programme of work. Essentially, the discussion in the plenary revolved around ensuring that any draft convention on CAH address existing gaps in the international legal system and that it complements, not replaces, existing legal instruments. The consideration of this issue was met by general support and some concerns by member states. The Nordic countries noted that while the Rome Statute of the International Criminal Court (“ICC”) regulates prosecution of international crimes, it does not address the duties of states parties to prevent these crimes from occurring in the first place, nor does it provide a framework to enhance inter-state cooperation. Furthermore, the group cautioned against revisiting the definition of CAH, and emphasized that states’ obligations to extradite and prosecute offenders should be highlighted. Finally, the Nordic countries called on the ILC to consider responsibilities for member states to prevent such crimes as well as to present innovative measures and mechanisms to enhance the prevention framework. Moreover, Austria, in reiterating the state’s responsibility to prosecute, highlighted that many states have not adopted national legislation to criminalize CAH at the national level, as per the Rome Statute provisions. To echo the comment made by the United States, while the draft convention is welcomed, it nevertheless is tethered to challenging issues that must be discussed before moving forward. While conceptually the draft convention would fix the gaps of the ICC in promoting the tools for prevention and prosecution of CAH, it is not clear how it would bypass some of the jurisdictional challenges that the ICC faces. Arguably one of the biggest challenges in ending impunity and prosecuting perpetrators of abuse is obtaining jurisdiction. The ICC acquires jurisdiction if either the state party in question accepts its jurisdiction or the Security Council refers the situation to the court. But what happens in instances when neither occurs or when the state party is not cooperating with the ICC? If the objective of a draft convention would be to build on existing work, fill the gaps in the international legal system and strengthen operational tools, then can’t an argument be made that the jurisdictional issue needs to be resolved first, especially since such a convention would surely face challenges related to national sovereignty? Finally, there is clearly legal and political merit to creating an international instrument that would emphasize and build on existing legal obligations for prosecuting and preventing CAH. But at the same time, the political will and capacity must be there to ensure that the instrument is ratified, implemented at national level, and duly enforced. At this time, it is not clear that the political will exists to push this process forward. [ii] A/68/10, Annex B, para. 1-3. [iii] A/68/10, Annex B, para. 3. [iv] A/68/10, Annex B, para. 8. [v] A/68/10, Annex B, para. 9-13.